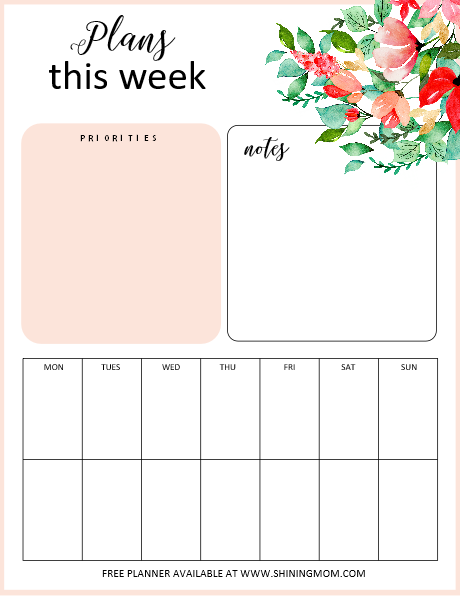 February Bullet Journal and Productivity Planner Free Printables! Getting ready to write down your February plans? I have here a February bullet journal for you. 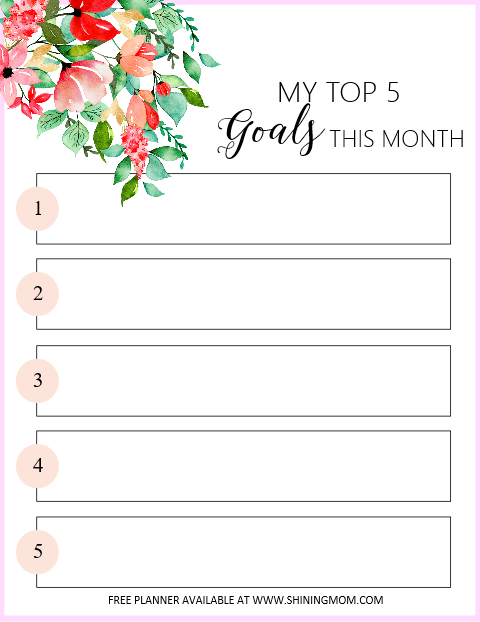 It’s packed with beautiful pages and templates that will help you map out your goals for the month. 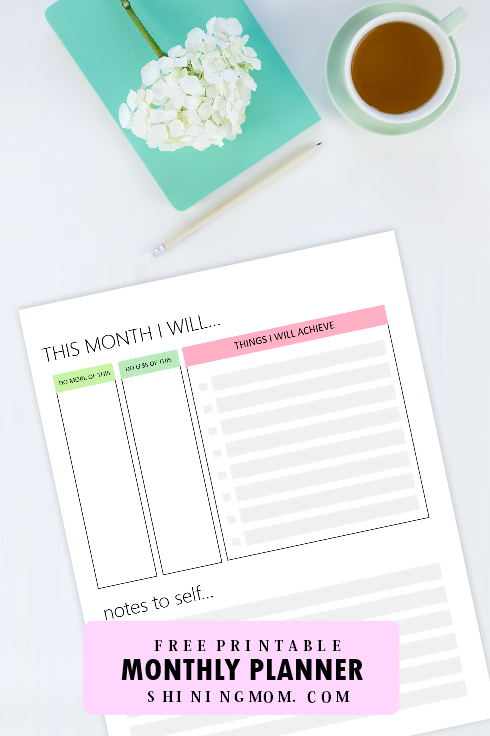 Get ready to make the month amazingly productive with these free printable planning templates! Oh how I love this time of the month- the time when I get to share my planner for the next month! I enjoy creating and sharing freshly designed planners because I love using them myself. The whole idea of using a new planner every start of the month helps me stay motivated all through the year. Do you feel the same way? 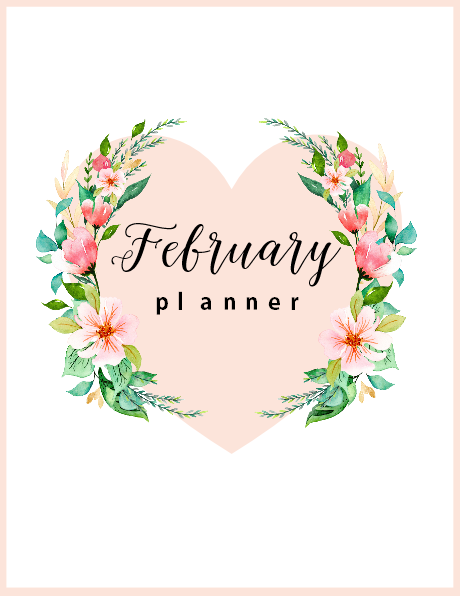 If you are you just like me who loves to hold and to use a freshly designed planner when the new month strikes in, this new February Bullet Journal / February Productivity Planner is for you. Let’s check out the pretty pages included in the pack! 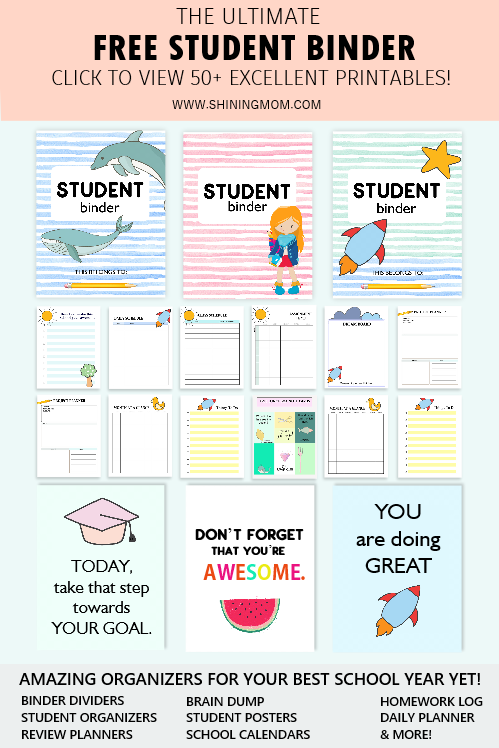 I have created 15 printable pages that can all be used for free. Each page comes in sweet floral theme. Special thanks to Dennise Anne for the flower elements that I have used in creating this planner. They’re lovely! 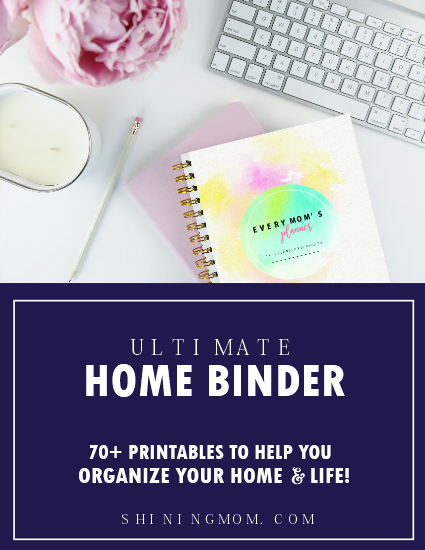 Yup, you’ll be receiving all the pages I’ve listed above sent straight to your inbox and a whole lot more. 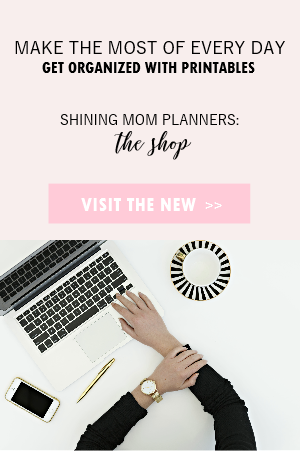 Excited to take a peep into the planner? Without further ado, I’d like to the February Bullet Journal and Productivity Planner by Shining Mom! I made sure to include pretty cover options for you. There are 2 designs to choose from! And since it’s the season of love, I’ve also included a cover page in Valentine theme. Look! There’s also a page where you can freely envision how you dream you month to look like. I love doodling here. I also enjoy adding my favorite clip outs from magazines here! I do my vision board on a monthly basis. How about you? Next up is the page where you will be writing the things you plan to do less and more during the month. There’s also a spot where you will be jotting down your to-do lists as well as your reminders or notes for yourself. I always find this page useful. It always a refreshing page to look at when reviewing how I like to run my month. You probably know by now that I am huge on goal-setting. This page is of course my absolute favorite! What are your major goals to achieve in February? 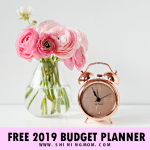 Are you planning to align your budget? Or perhaps spend more time with your family? Write those amazing goals here! 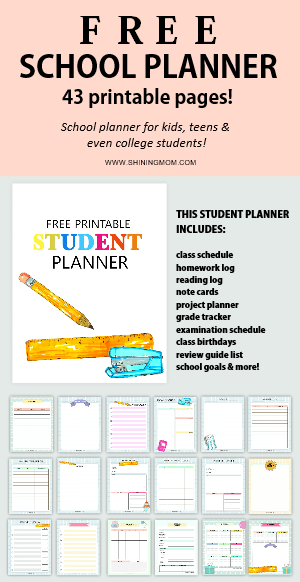 I’ve also included important pages such as daily planner, weekly planner and month-at-a-glance page! Look at the sample layout below. Beautiful, isn’t it? 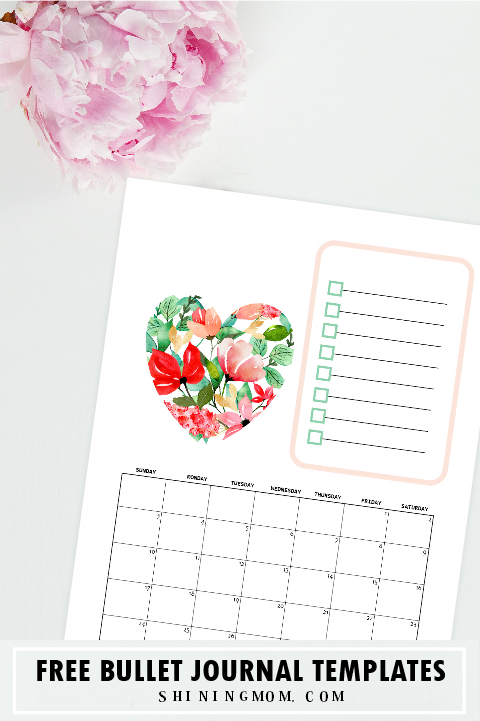 Well of course I’ve also added February bullet journal templates that you can print and use right away. 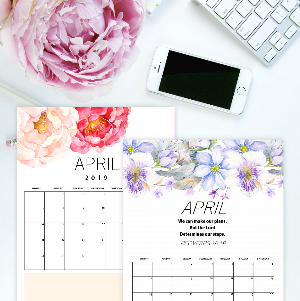 There are even pages that include a calendar in the printable template, like this one. You’ll also be receiving some super fun February bullet journal printable stickers, too! Ahh, you’re so ready to sets ail an amazing month! 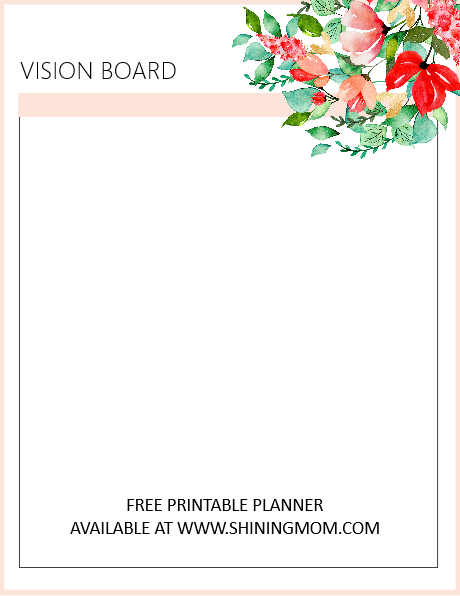 Grab you free printable February bullet journal / productivity planner today. It’s for free printing! 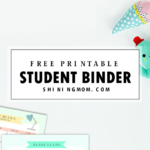 Here’s how you can score the file which includes 15 printable pages! It’s easy! 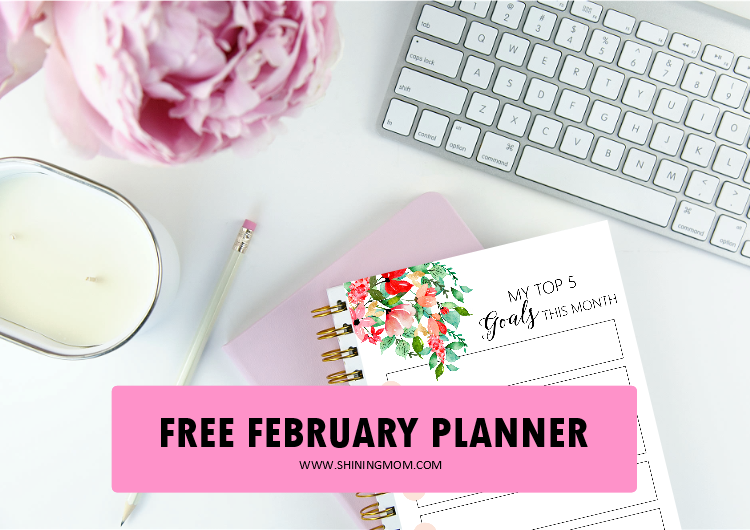 Here’s How You Can Download and Use The Free February Bullet Journal & Planner! Click here to receive the files sent straight to your inbox for instant download. Print the February bullet journal / planner in US standard Letter Size paper with 8.5 x 11″ dimensions. 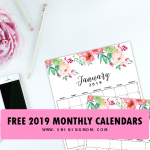 Lastly, if you’re looking for February calendars, pop over this post to snag the free printable calendar files. I have shared more than a dozen of fresh designs that you will surely love! That’s all for now. 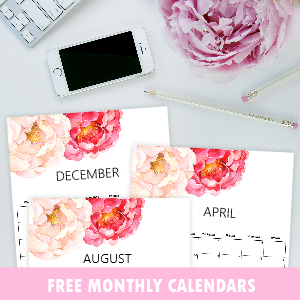 Please enjoy this free February bullet journal and month planner! Have a great week ahead! 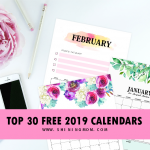 « Free Printable March 2019 Calendar: 16 Awesome Designs! 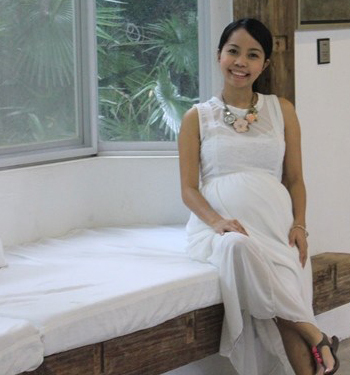 I love your beautiful designs! I can’t wait until my printer is fixed so I can print these. Thank you for sharing your talent. You’re very much welcome! 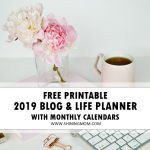 Please enjoy the planner!